Home » Articles , Heart Health » Heart Attack vs Heart Failure : Which is more Critical ? Heart Attack vs Heart Failure : Which is more Critical ? Usually we think that Heart Attack and Heart Failure is same thing. But these two are different diseases. However if any of these occur to a person, he/she is at risk of another. Both of these diseases have different symptoms and different treatments. At the end of this article you will automatically know the answer that which one is more critical and life-threatening. Heart Attack is caused when the arteries supplying blood to the heart gets blocked. When this happens heart don't receive energy to work and it stops working. These arteries can get blocked due to several reasons. It may be due to some clotting inside arteries or inflammation inside arteries. If its diagnosed in time then there are several medicines to dissolve the clot and remove the inflammation. So its important to notice the early symptoms of a heart attack. Heart Failure is different from Heart Attack. 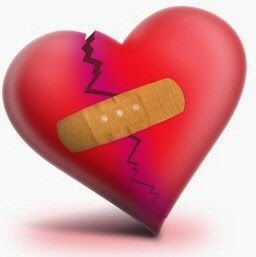 Heart Failure is a condition when the capacity of Heart to pump the blood decreases due to some reasons. It may happen due to continuous high blood pressure of some problem in Heart Valves. Heart Failure is a condition that can remain from a few months to years. It gradually makes the heart weak and may result in complete failure. Its symptoms should be noticed and treated early else it starts to affect other organs due to poor blood supply. Some times Heart Attack may lead to Heart Failure. When some artery supplying blood to heart is narrowed or blocked then the heart muscles can't get proper energy to work properly and these muscles are weakened with time and gradually their ability to pump the blood is decreased. Thus Heart Attack leads to Heart Failure. Which is more Critical - Heart Attack or Hear Failure ? Immediate attention and medical treatment is necessary in case of a heart attack. Else it may result in death with first 24 hours. The patient may need help of a pacemaker to regulate the pumping function of heart. As you read in the beginning that heart failure can take some days to be noticed but symptoms of heart attack are immediate. None of these diseases should be taken lightly but Heart Attack is more critical.